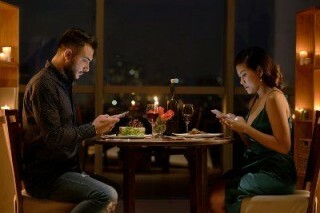 Lack of communication is a core reason relationships suffer. When you aren’t clear about expectations, hopes, fears or what you love and want, you and your partner have little chance to come together or, for that matter, even really know each other. Everyone is always expanding and changing and it is communication that allows you both to continue to ‘know’ the always ‘new’ you. You are always being pulled into distraction; TV, your phone, magazines, jobs, social events, sports, kids and a million other things you allow to keep you from talking. They are easier than having that conversation that might be uncomfortable or might upset your partner. Find time alone with your partner, undisturbed, and create it regularly. Turn off your phones and make sure you don’t feel rushed to be somewhere else. Is this a reason NOT to love them? It’s just a basic fact of life. And when we are annoyed, it creates upset and stress in our body, mind and spirit. Not to mention the trouble we can cause if we get annoyed and then immediately lash out and create even more drama. It’s taken me years to train myself to allow myself the time to just “be” with the upset, to not react, or overreact to the situation. As I am “just being,” I give myself the space to try to figure out what I am annoyed about, and then decide whether or not there is something to do about it. Sometimes a conversation is in order to talk things through, but most of the time, once I ask myself the following question, I can soften and release my emotions. As my career flourished and my life filled with wonders, a lifelong dream of producing three inspiring videos about awakening, animal communication, and miracles was close to realization. There was one hitch in my emerging success. My DVD footage was being held hostage. I did not have the ransom funds. Sounds like a movie! But it's a true story. I was so angry that I went outside kicking my feet as I sought peace under the night stars. My heart felt crumpled into a paper ball. Alone in my despair, I sat a moment by the compost pile, feeling a desire to be transformed into something more fertile. I got up, walked a ways, then made a left turn, unsure of why. I just followed my senses in the same way I follow what beckons. There, late at night, under stars, sprawled below me, no longer alive, was one of my best friends, the hawk. There had been three hawks that spent lots of time with me. They called to me each day, circled around me, attended my seminars in circles above, and guided me into the place where heart and sky were the same. What happened to this one? I could not understand. I blamed myself. My negativity over this matter of the DVDs must have killed the hawk, I thought. "That is not what happened," said the hawk, who was right above me, though her body was on the ground. "Please go inside, sleep, and listen," she continued. By passing the feelings in her own heart into mine, she was able to give me this message. Despair was literally extracted from my body in that moment. I felt comforted by the presence of my loving friend. Following her guidance, I went to bed. Lying awake most of the night, I felt flown. My heart was lifted into lighter and lighter contentment. Everything but love disappeared. I experienced myself flying in waves of blissful peace. Usually, when talking about relationships, we’re talking about something that happens between two people. However, the most important relationship we can have is internal—between our own authentic spirit and us. Building a good relationship with your authentic spirit starts with a few questions: Does your life reflect who you really are, or who you want to be? Are you allowing your true self to show? If not, you might want to consider making some personal changes. How can we hold both the good and the bad within us? A soul can know a soul. An ego cannot know a soul. But souls like Maharaji, for example, draw out your soul, and then you see him. Otherwise, you see an old man without a blanket. Am I saying it right? I have discovered this when I visit sick or dying people. When I used to do it like, “I’m a kind man who’s visiting sick people, so therefore, you must be a sick person,” I was caught in my role, and therefore, all I did was keep them caught in their roles. When I stood outside the bedroom door, and felt myself to be a soul, and then I went into the room, I was able to see it clearly. I went in and massaged the sick man’s feet. And there we were as soul friends. 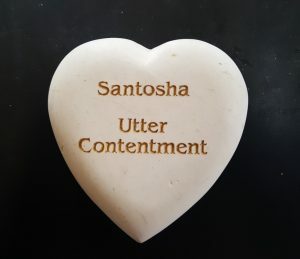 He didn’t find my mind reinforcing his model of himself, so I thought, “Hey, you can fluff a pillow or put a blanket over someone and you are helping people.” But Krishna in the Bhagavad Gita is, “Do what you do, but put the flowers at my feet.” It’s doing God’s work, doing these things. So when I went to see that fellow, characterizing him as a spiritual person, I felt I was doing God’s work. Maybe that’s just psychotic. Do You Get Stuck in Judgment and Comparison? Do you get stuck in judgment … of yourself or others? Do you compare yourself with others? Do you judge where you think you “should” be now in your life? How might these thoughts hold you back from truly living in this present moment? This moment is all you have, right here right now. Why would you waste it on judgment or fear-based thoughts? When you recognize you have been living in the past or the fearful future or focusing on others … you will see that you are missing THIS moment. Judgment and comparison comes from fear or a lack mentality. I would invite you to become aware of how you feel physically when you get into those thoughts. The way that you feel is expressing itself in your physical body for a reason. Your body is telling you that this is not in alignment with your truth … that these feelings of lack, these feelings of doubt, of fear, of anger, toward the past, towards the future, towards yourself … that these feelings are not only not raising your vibration but are holding you back from seeing the beauty within you, and the amazing life around you. These negative thoughts and feelings are not in alignment with who you truly are, and your body is giving you that gift of awareness. So, instead of doing what you’ve done in the past, whether its staying stuck in the judgment, pushing your emotions down, ignoring your feelings, or denying them … you can instead see it as an opportunity to look at it, change your thoughts and take some steps to start to heal it. I have been thinking about my mother and how Maharaji gave me a present. Lately, I have been thinking a lot about this concept of unconditional love for both ourselves and others. Defined by many as “affection without limitations or love without conditions,” I sometimes question whether unconditional love in its purest form is attainable and sustainable. When it comes to unconditional love for others, many say that although there may be times when they don’t like or are upset with the people they love, underneath whatever might be going on in the moment, they do always love them. To love ourselves, we need to know ourselves. Our sense of self is also slanted by our limited view of ourselves. Most of us are walking around constantly beating ourselves up and berating ourselves. When it comes to ourselves, we are constantly judging and fixating on our flaws and what needs fixing. We see only pieces of ourselves and focus on what we are not instead of realizing all that we are. We forget that we are born whole and complete and that wholeness is our birthright. It is not and cannot be taken away. It is the integrity of who we are and it is inside of us. It’s just that events happen that cause us to create negative interpretations and limiting beliefs about the essence of who we are. As a result of these situations, we cease from knowing ourselves. We cease seeing our true selves and, as a result, our view of and love for ourselves becomes compromised. But the good news is that it is never too late to get to know yourself and take on self-love. Here are 3 tips to support you on this journey. What is the significance of truthfulness in relationships? I want to talk to you about this word truth. If you are with another human being and you want to awaken and get free, you can do it by dealing with the people around you without expecting that they will also want to get free. But if you’re lucky, you’ll get to be around people who also want to get free. In Buddhism it’s called Sangha, and in Hinduism it’s called Satsang. Every religion has the fellowship, the spiritual community of people who are seeking together, and it’s very reinforcing to those qualities in you that want to awaken to be around other people who similarly want to awaken. These relationships help remind you of it. We look for people that are simpatico to those values. The highest one of those is where two people have consciously and intentionally said, “Yes, let’s get free and let’s use our relationship with one another as one of the vehicles for doing that. In order to do that, since we know that in freedom there is truth, let’s be truthful with one another.” That is a very high and very special relationship. It is very rare. Are you sometimes really hard on yourself? Do you have a tendency to dwell on your weaknesses or mistakes instead of what you’re proud or happy about? Are you sometimes easily defeated by setbacks or criticism? Have you ever felt like you can’t openly ask for what you need? If you answered yes to any of these questions, it’s time for a self-esteem tune up! Practicing self love is integral to enhancing your intuition. When you feel good about yourself, your intuitive filters are clear and you’re fully connected to the Divine. You’re able to cast your net into the world around you and thus move forward on your highest path. Conversely, when you don’t approve of yourself, your Goblin ego takes over and whispers more harsh and judging thoughts. Lack of self-esteem keeps you separated from the world around you and disconnected to your intuition. The more you disapprove of yourself, the more you end up stuck in a prison of your own making. And, you don’t want that! The last few days I have been on fire with Spring cleaning. Suddenly, I am filled with energy and motivation to clear out clutter, clean up old messes, wipe down the baseboards, throw out and give away things that aren’t needed… and it feels great. As part of your Spring Cleaning to enhance your love life, my friend and Feng Shui expert Shawne Mitchell suggests enlivening the Marriage and Relationship section of your home. To figure out where this is, stand in your front door (facing into your home) and locate the far right corner of the house (or of your bedroom) and this is it! Not only does this section represent all love relationships, on a spiritual level it also represents your relationship to yourself. To enliven this space, add artwork that depicts love and romance, or add pairs of things such as two lovebirds, or swans or any animals that mate, like dolphins. The truth is, sometimes you don’t know what to think because nothing seems to make sense. Nothing that you thought to be true is. Everything you believed to be, isn’t. It all just feels fluid, unsteady, confusing and scary. For me — for a variety of reasons — that’s how I’m feeling right now. But, what my life has taught me is that these moments pass and that the best way to get through them is to actually live through them and breathe each step of the way. Breathe. Breathe in and breathe out. I’ve learned that when one feels unsteady, it’s best to try and visualize a wave. See the confusion, the fear, the sorrow, and the grief as a wave that comes in and out and, slowly, it will give way to a calm sea. No doubt, the calm doesn’t come as quickly as you would like, but it will come with time. For me, knowing this to be true is what makes the unknowing in life more bearable. You responsibility is not to make others happy but to be yourself fully. As I stood in the back of my church on Palm Sunday, I found myself thinking a lot. Actually, I came into church already thinking, as I had just spent an afternoon with a friend who was struggling with cancer. A year ago, my friend was the picture of health—laughing, debating issues of the day, and planning her future like the rest of us. She is my age, and like my friend Nancy whom I wrote about last week, there is no future left to dream about for her, either. So instead, we reminisced about the past. The past made us laugh. It was filled with adventures and possibilities. Dreams and opportunities. I called her on my way home and said, “Thank you for today. There’s nothing like an old friendship.” “So true,” she replied. They say that youth is wasted on the young. So is our health. So, whether you’re young or old, I encourage you to value your friendships. Value your health. (I hope you’ll register and join me in June for Move for Minds 2018.) Value the moments you have now to let someone know that you care about them. We learn kindness and patience step by step, sometimes in the receiving, sometimes in the giving. And sometimes, even more powerfully, in the shadow experience: through thoughtlessness or impatience, our own or someone else’s. Hurt by hurt, mistake by mistake, we walk forward into the swirl of human emotion and interrelationship. We learn about pain by being hurt as well as by hurting another. Someone else’s anger or offhand remark can cut to the quick. But to see pain in a loved one’s eyes from our own unthinking or harsh words is to know the other side of pain. It can break your heart, but in the breaking is the opening­—to compassion, to kindness. When I look back honestly on my own life, I see moments that have taught me, painfully, to be more compassionate and aware. In the years before my mother’s death, she began to have challenges with both her eyesight (cataracts) and memory. I felt tremendous responsibility and fear around making sure she was okay. Once, after a doctor’s appointment, I was asking her questions about what had transpired (What did he say? Did you ask him about ____?). She couldn’t think fast enough to answer me and finally burst into tears. Abruptly I realized I had to slow down and just listen patiently instead of question her. I could see the pain in her eyes at not being able to answer me quickly. It stopped me in my tracks, and I hugged her. What did the answers matter when my mother’s ease of mind was at stake? I love weddings!!! And, I especially love weddings that we get to officiate. Being surrounded by a loving bride and groom (and all of their friends and family) in a beautiful setting filled with magic, music, flowers, fun and fabulous food is the perfect recipe for joy. 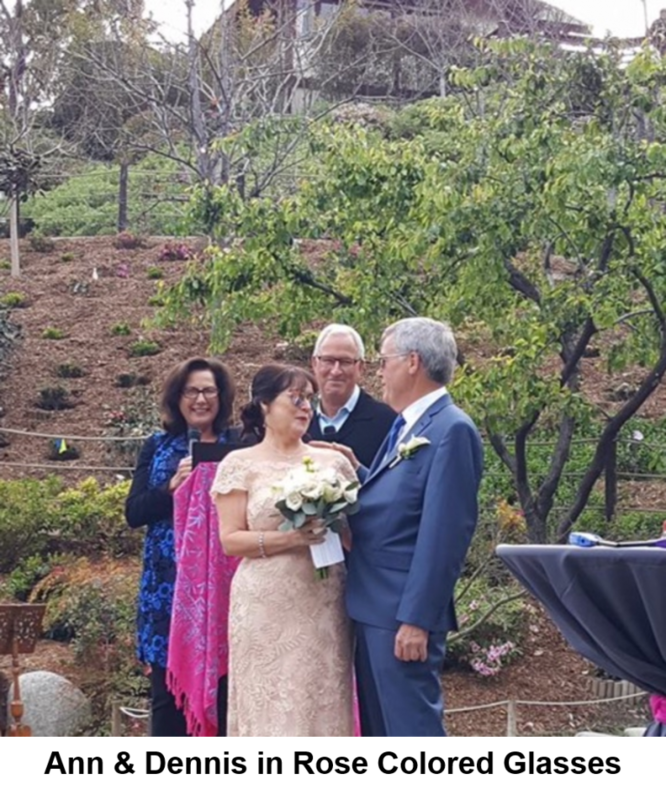 This past weekend, Brian and I had the honor of officiating the wedding of our friends Ann and Dennis (both in their 60’s). We met Ann a little more than two years ago when she joined us in Bali for our Manifest Your Greatest Unmet Dream transformational journey to focus on her desire to meet her soulmate. Sibling rivalry wouldn’t exist if only parents knew how to handle children better. A whole lot of us carry the burden of sibling rivalry. No matter how old we get, we still suffer from the effects of ‘Mom and Dad always loved you more’. Much of our adult behaviour is coloured by this aspect which seems to colour our relationships with our siblings. Coping with sibling rivalry could be very stressful, we all seem to face it somewhere and sometime in our lives. It actually needs to be dealt with in childhood so that it doesn’t surface in our relationships in adulthood. If left undealt it creates major family disputes and unpleasantness in the closest of relationships leading to immense stress. You as an adult can cope with your issues if in your childhood you were taught how to manage your sibling relationships consciously. Relate to your own inner self. Try and be a good parent to your kids. Today I will discuss how to handle sibling rivalry in children so that we consciously raise stress-free children who will further turn into well adjusted humans with comparatively low level of stress in a new zone of living. This is most essential. If parents are consciously monitoring their kids and making an effort in consistently bonding them in a mutually loving relationship, it creates great harmony. Most of the time it is the competition for the favour of the parents who need to understand that comparing two kids is the worst possible way of creating a love culture. Never ever promote competition between children. In this way they learn to resent each other.